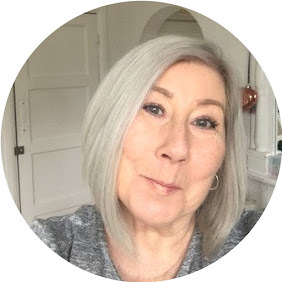 This is just going to be a quick post as I wanted to let you into what happened with me today, I was recently contacted and asked if I would be interested in trying out Imedeen Prime Renewal which is specifically designed for women 50+ well as I fall into that category with a few more +++ I was delighted to give it a go. Before I started the 3 month course I needed my Collagen levels assessed and was visited at home by the lovely Emma, which took the form of a scan on my arm, the same sort of scan you would have on a baby bump, we wont discuss Emma's fantastic slim figure, I was tempted to feed her cake just to make myself feel better :) Emma herself started out as a loyal customer of Imedeen way before joining the company. Should you be interested in starting a course of these 4 daily supplements I would recommend finding a Boots near to you where you can have a complete consultation and a Collagen scan with an Imedeen consultant, that way you can see at the end of your 3 months, visible results. I am personally hoping to see an improvement in the moisture levels of my body skin, I suffer with very dry legs and Emma assured me I would see a difference. Anyway, I will end here and return to this subject in 12 weeks, and we will see ! !